Born in Hibbing, Minnesota, Dr. Gustafson attended the University of Michigan where he earned B.S. and M.S. degrees. He received his DVM degree from the University of Georgia in 1980. He has been working as a veterinarian here at Warwick since graduation. 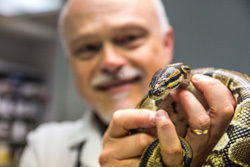 It was his lifelong love of animals that inspired Dr. Gustafson to become a veterinarian. He counts delivering puppies or kittens by C-section among his most memorable veterinary experiences. The experience of "reaching into one living being and pulling out and saving a new life" is truly unforgettable. 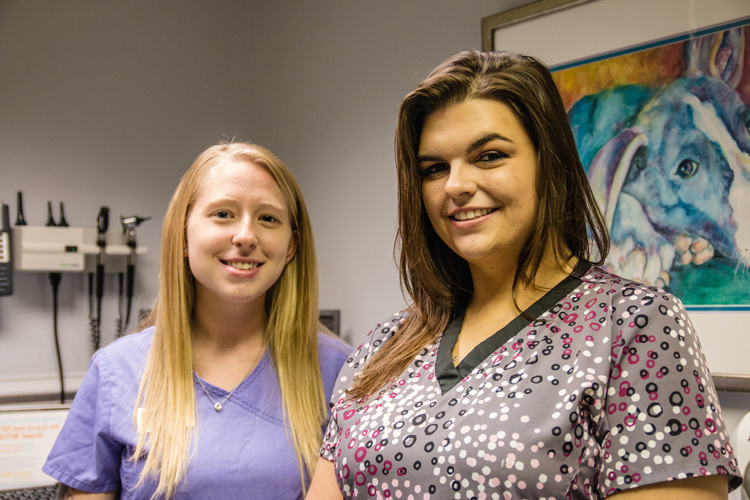 Here at Warwick Animal Hospital, Dr. Gustafson treats cats, dogs, reptiles and exotic pets. His specialities include laser surgery, orthopedic surgery, and dentistry. A serious amateur astronomer, Dr. Gustafson has a grand total of seven telescopes of various sizes and types, each one a different tool for a different task. He also enjoys photography, birding, fishing, snow skiing, and working with computers. Dr. Gustafson's pets include a Blue Tongue Skink named Astro and four Yorkshire Terriers: Halley (named after Halley's Comet), Betelgeuse (BeeGee for short, named after the giant star in the constellation Orion), and littermates Nick and Nora (named after Nick and Nora Charles from the old Thin Man movies, ran out of good astronomy names). Dr. Gustafson delivered Halley by C-section. "When we got Halley," Dr. Gustafson recalls, "It was my turn to pick a name and I picked Betelgeuse, BeeGee for short, but I was overruled, 1 to 1!" He won the vote 1 to 1 with the next Yorkie, BeeGee. Best times to reach Dr. Gustafson by phone are Tuesday and Wednesday, 9am - 4pm. 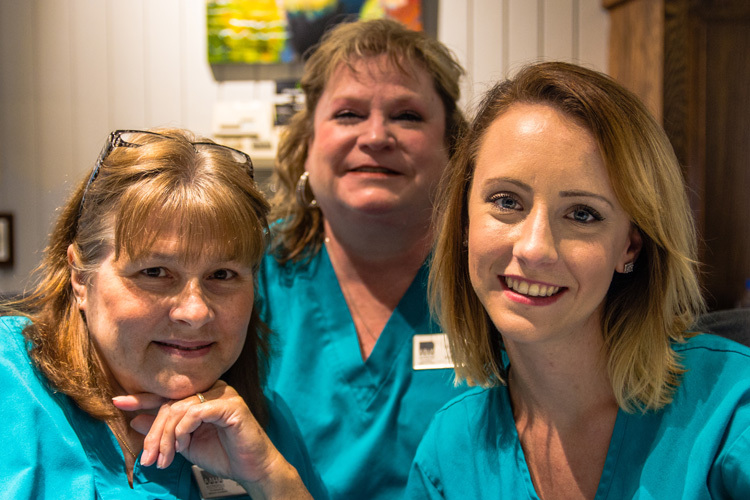 Dr April Dove began working with Warwick Animal Hospital in early June 2014 and has been a wonderful addition to our hospital! 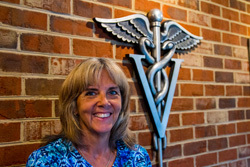 She earned her undergraduate degree in Biology from the University of Montevallo in Alabama and received her Doctorate in Veterinary Medicine from Auburn University in 2007. Dr. Dove has worked in a couple of different private practices since then and recently joined Warwick to be closer to her home in Hampton. Her passion is working with all animals including avian, wildlife and exotic species. 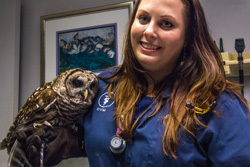 She has been a board member of Wildlife Response Inc, a wildlife rescue serving Hampton Roads, since 2011 acting as the Director of Rehabilitation Services for the group of volunteers. Another strong interest of hers is working with greyhounds, medically and as a volunteer with Greyt Expectations Greyhound Rescue. She and her husband volunteer with the group as well as being a foster family for the newly retired racing dogs. She finds that helping these dogs adjust from a life on the track to one in a loving home is overwhelming rewarding, although it can be heartbreaking at times. Dr. Dove is married and has a beautiful stepdaughter along with 3 cats and one boxer, one pitbull mix and one greyhound. Eydie Maley was born in Albuquerque, New Mexico. She graduated from Blue Ridge Community College in 1989. Eydie and her family have two dogs, a cat, and a guinea pig. Bart (yes, as in Bart Simpson! ), is an eleven-year-old black Lab mix who has free reign of a 30-acre farm. He loves to visit the neighbors, who call him their "grandchild" and serve him breakfast every morning! Bart's best friend is a Chow mix named John, who just showed up on the family farm one day, badly injured and "mean as could be." Despite this difficult beginning, John survived and turned out to be "quite a charmer." Charlie is an orange male tabby cat who was raised with the two big dogs and consequently thinks that he is a dog too! Last but not least is Guinea, the guinea pig, who was given to Eydie's oldest son Michael as a kindergarten graduation present. Guinea is three years old now, and, according to Eydie, has really helped teach Michael about the responsibilities involved with owning and taking care of a pet. Eydie has two sons, Michael and Cory. Michael is nearly ten years old and, says Eydie, is "definitely my little animal lover." Currently, Michael is trying to talk his mom into getting a new puppy or a new baby bird. He also enjoys soccer and swimming. Cory just turned five and started kindergarten ("A very tough day for Mom!" recalls Eydie). Cory loves riding tractors and is enthusiastic about anything to do with heavy equipment and trucks. Eydie enjoys working with computers and media. She has recently joined a ministry that produces many teaching tapes, and she looks forward to becoming involved with the editing process. Eydie likes music and has been learning how to burn cds and create cd covers from her own photographs. Sarah Hudgins was born in Bemus Point, New York, and received her associate degree in Animal Science and Veterinary Technology from Blue Ridge Community College, in 1999. 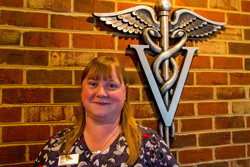 Sarah joined Warwick Animal Hospital after graduation in 1999. "I had always known that I wanted to work with animals," recalls Sarah, "but I wasn't sure exactly what I wanted to do until I started working at a veterinary clinic while I was in high school." It was there that she realized all of the great things that veterinary medicine has done to help pets lead healthy and happy lives. Sarah enjoys the "hands-on" aspect of her work, whether it's vaccinating a healthy patient, or taking an x-ray of a sick patient. 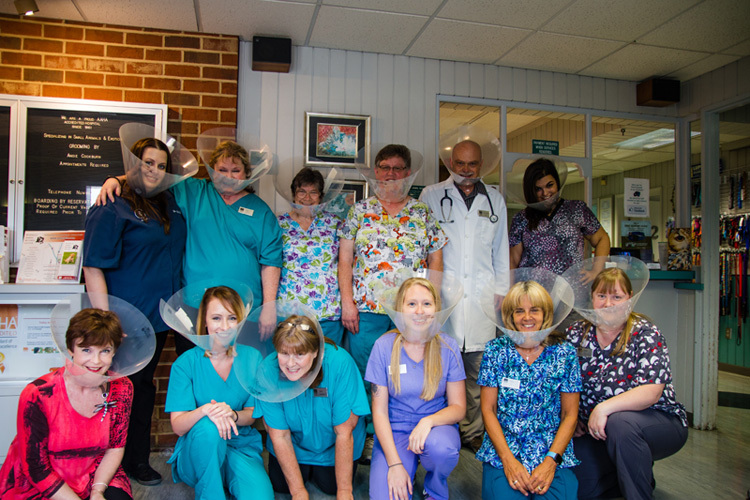 For Sarah, being a veterinary technician means that there's never a dull moment! Sarah enjoys spending time with her husband, two young children, and her dog Gertie.